All My blessings will overtake those who obey Me. if you shall listen to the voice of Yahweh your God. Deuteronomy 28 is a chapter that starts with all of the promises of God to Israel if they simply listen to the voice of God and follow His ways. We read that there are a truckload of blessings that God wants to pour on all of us who simply say 'yes' to His plans and purposes. 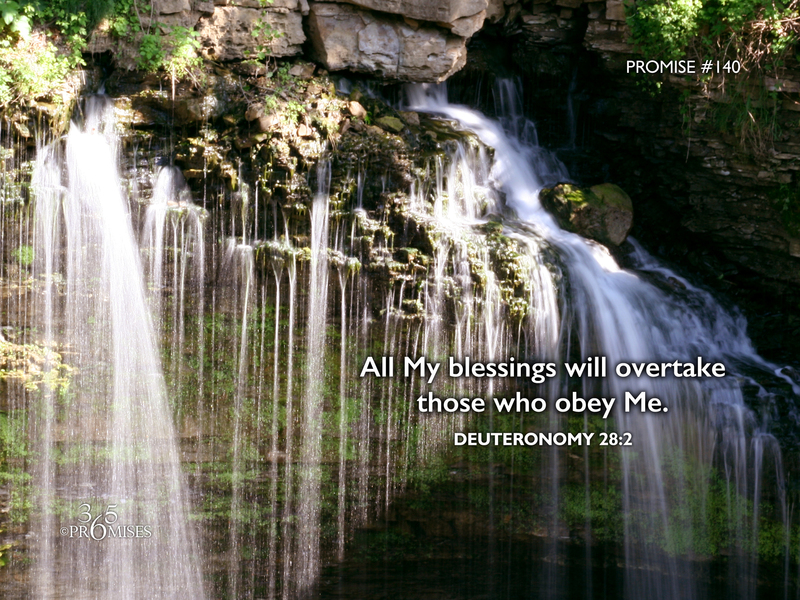 In today's promise, we read that these blessings will actually overtake us as we live our daily lives. When I think of God's blessings overtaking us, I picture everyone running the race marked out for them that the writer of Hebrews mentions in chapter 12:1-2 and while we are running, God's blessings catch up to us and overwhelm us! I know it wouldn't be fair to mention Deuteronomy 28 and all of the blessings that God desires to give without also acknowledging that this same chapter ends with all the curses that await those who disobey Him. I really don't want to dwell on the last half of this chapter because I know that it is our Father's heart to bless and not to curse. The New Covenant is a covenant of blessings. We know from Galatians 3:13-14 that Christ became a curse for us so that the blessing that God blessed Abraham with would be ours in Christ. In Ephesians 1:3 we read that we have been blessed with every spiritual blessing in heavenly places because of Jesus. God's heart is that His blessings would overtake you in every area of your life today.